Currently, there are tons of different security system providers available. When people first think of security systems, most think of ADT. Although, ADT is a great service provider that operates on a national level, there are many drawbacks associated with them. First of all, they don’t know the problems that the local Chicago land residents face. Alert Protective Services, however, is Chicago based; they have been providing exceptional service to thousands of residents for over 28 years. 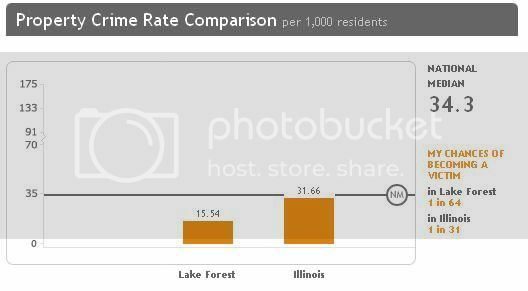 They specifically know exactly the problems residents of Lake Forest, IL face on a daily basis. Most likely someone in your neighborhood is already one of our customers. APS will always be there to answer any questions you may have. They make it their mission to provide customers with the most satisfaction and peace of mind possible. What Is Monitoring and How Is It Handled? Most security providers offer monitoring. This entails them watching over your home and security system from another location to provide additional protection and support. Alert Protective Services offers 24/7 monitoring on all security systems for less than a dollar a day. Their monitoring facility is Underwriter Laboratories Approved and they maintain two backup centers for triple redundancy. Their customer service has won many Better Business Bureau Awards. Another advantage APS has is that they not only monitor the equipment they install, but they also monitor any existing security systems previously installed by a different service provider. No matter what type or who install it, APS has the ability to monitor any security system in Lake Forest, IL. offers a wide range of different security alarms, from Passive InfraRed security systems to Glass Break Detectors. APS has installed many different types of security systems in Lake Forest, IL. One of the most common is the Ultrasonic Detector. It used frequencies between 25 and 75 kHz, which are inaudible to humans, to detect changed in the sound waves. It works similar to the sonar found on battleships. Ultrasonic energy is bounced out and reflected back towards the receiver. Hard surfaces, such as furniture, reflect the ultrasonic energy consistently. Soft object, such as humans, absorb most the energy. This is easily detected by receiver. Alert Protective Services has already installed many of these Ultrasonic Detectors in Lake Forest, IL. They are one of the best systems on the market and they provide residents of Lake Forest, IL the level of protection they desire. These are the most important issues to consider when deciding on a security system. They give you a general picture of what you’re looking for. The only thing left to do is give APS a call today to schedule an appointment to have one of our professionals come out and diagnose your additional security needs.